We are a solid company with the best references in the region. We stay professional and pragmatic and find the best solutions for each client. 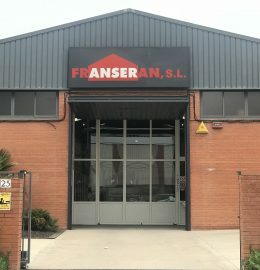 Construccions Franseran is a family business founded around the year 1960 in Vilafranca del Penedès. Our company, from its inception has adapted to the changing needs of the construction industry. We are now to the third generation of builders and we have a great reputation in the region. From the beginning, we have characterized ourselves to work with the highest quality within the wide range of services we offer, from the remodeling, restoration or renovation of existing work to the construction of industrial buildings, without forgetting family houses. We carry out our work within the shortest possible time, having all the necessary machinery and media for the entire execution, either as a construction company for third parties or by managing our own works as promoters. Because all these reasons, throughout these three generations, Franseran has created a solid company with the best references in the region, always endorsed by the opinions of its clients.